Transmission Services & Repair | Metro Transmission Inc.
Why trust your vehicle to just anyone? Metro Transmission Inc. is North San Diego County’s transmission specialists. Since 1983, we have been providing transmission repair and services for all of your driveline needs. You can rest assured knowing that with every repair, we will stand behind our work. All transmission overhauls, rebuilds, and re-manufactured installs include a nationwide warranty that’s honored at over 3,500 shops around the USA through ATRA. When it comes to drive train service, look no further. Bring your vehicle to Metro Transmission, where our ASE certified technicians can accurately identify, diagnose and repair your vehicle right the first time. We provide transmission services and repair for San Marcos, Escondido, Vista, Carlsbad, Oceanside, Valley Center and the surrounding communities. Services Available For Your Transmission and Driveline! One of the most important aspects of Transmission Repair services is correctly diagnosing the problem. With today’s complex vehicles, the operation of a transmission is controlled and affected by many outside systems. With over 100 years of combined experience, our certified technicians at Metro Transmission Inc. in San Marcos, CA can accurately diagnose your transmission problems correctly the first time! 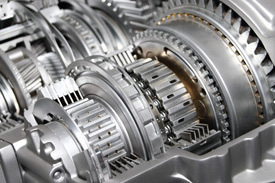 We have extensive transmission diagnostic tests that we can perform to determine the cause for your transmission issue. Before we recommend any repairs, we do an initial inspection which includes the following. After we complete our initial inspection, a more extensive inspection will be performed on your vehicle in order to determine if the cause of your transmission issue is due to an external component. We will inspect the following components to determine the source. Following the first two stages of diagnosis and it is determined that the issue with your transmission is electrical, we will need to do a diagnosis of the vehicles computer system. We believe it is necessary to rely on our skills as professionals, as well as our state­-of-­the-­art diagnostic equipment to accurately diagnose the issue. In order to fully understand the scope of the potential issue, we will perform the following computer and electrical diagnostic tests.